For holding and catching rain water. Durable resin construction. Includes drain hose for water usage. Includes shut-off valve for hose hook-up. Overflow hose doubles as connector hose. 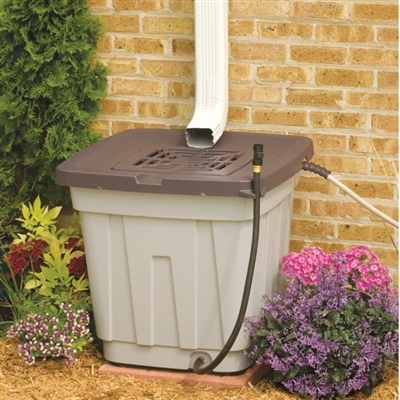 Debris filter keeps leaves and yard waste out of water. Linkable to one additional barrel for increased capacity. Secure lid is child and pet proof. 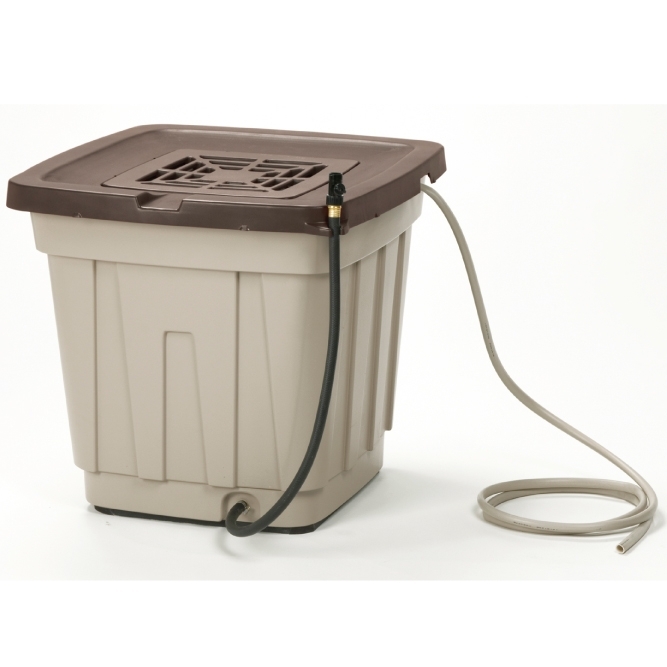 Dimensions: 29" W x 29" D x 26" H. 50 gallon capacity. Rebates are available for rain collectors. Check with your local water provider to see if they offer a rebate to harvest rain water.